To a short distance from our touristic accommodation it is possible to embark on the public ferries transport service to reach the bathing establishment present on the island of S. Pietro (the largest island of the small archipelago of the Cheradi islands, where the legend says that the Apostle Pietro landed). The island is still under military possess with access also allowed to private people. Covered by a luxuriant pine forest, with clear sea and bathing beach, beach extremely clean and lifeguarded, equipped of showers, umbrellas, deck chairs and bar service. 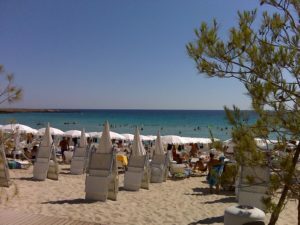 In the summer season the service is furnished to the guests upon request and hotel reservation. 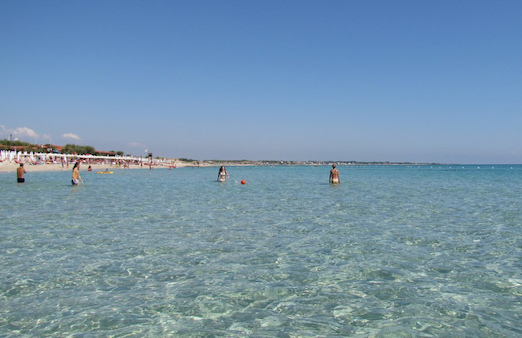 The Cheradi Islands constitute a small archipelago that closes southwest the dock of the Mar Grande in Taranto, in the homonym gulf. The archipelago is composed from the two islands of S. Pietro and S. Paolo (respectively distant from the navigable Channel in Taranto 3,5 and 6,25 km), part of the military possessions, and on which are forbidden landing and navigation. 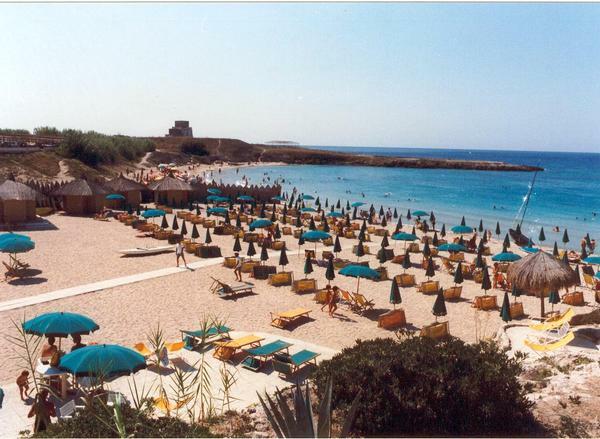 Once the islet of S. Nicolicchio existed also but today disappeared. The islands are rich of sea fauna and of sponges. Tucidite has been the first one to pass on the name of the Cheradi (from the Greek Choiràdes that means promontory or horns). Anciently the islands were called from the Greek Elettridi, in honor of Electra, the daughter of the god Poseidon very revered in Taranto (the same legendary founder of the Polis, Taras, was son of Poseidon), but this name was probably attributed because on them were found bituminous trees luxuriantly grew that produced amber: this is testified by the discovery of necklaces of amber in the surrounding territory. The great island was called Phoebe in honor of the goddess Artemide because of the thick brushwood, while the small island simply Electra. According to the tradition it is wanted that Dedalo running away from Crete, sheltered on this island leaving there two statues, one made in tin metal and the other in bronze, representing the fall of Icaro and Fetonte. In the Middle Age, with the advent of the Christianity, the two islands of S. Pietro and S. Paolo respectively assumed the name of Santa Pelagia and S. Andrea, because of the churches built in honor of the two saints. In the IV century the biggest island was inhabited from S. Sofronia, hermit and martyr of Taranto. The largest island was center of the “pervetustum” cenobio basiliano di S. Pietro Imperiale, famous monastery which extended its influence within our region and beyond, with the aim to affirm and expand the Byzantine hegemony. 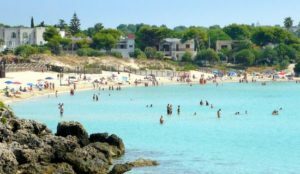 The islands once belonged to the Church and Clergy of Taranto and according to the documents of the epoch, it was renowned for fishing sardines besides other fish specialties. In 1594 the islands were occupied by the Turks led by Alì Sinam Bassà, which entered into the harbor of Taranto with 100 ships that were used as an outpost for their raids inland: repeatedly departed from here to try to destroy and conquer Taranto. On September 19th the same year, the Battle of the Tara river, the Christian forces led by the Bishops of Mottola and Taranto, finally defeated the Turks driving them out from the Ionian coast. Towards the end of the eighteenth century, in S. Paolo Island Napoleon Bonaparte ordered the construction of the Fort de Laclos, named after the Artillery General Pierre Choderlos de Laclos, buried there in 1803. With the unification of Italy, the islands were brought to the attention of the maritime authorities: passed being the possessions of the Church to those of the Kingdom, on S. Paolo Island was built a lighthouse to guide mariners in the Mar Grande. 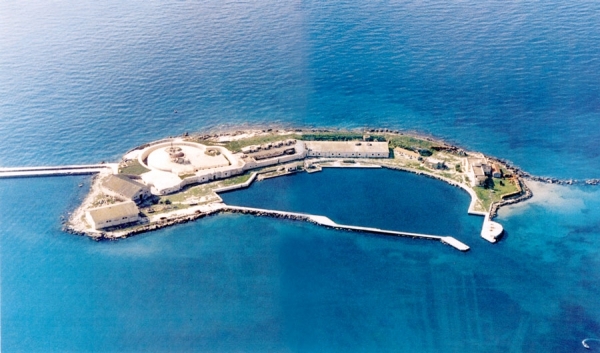 At the end of the nineteenth century, following the construction of the naval base of Taranto, the island became the cornerstone of the defense works of the Ionic naval base. 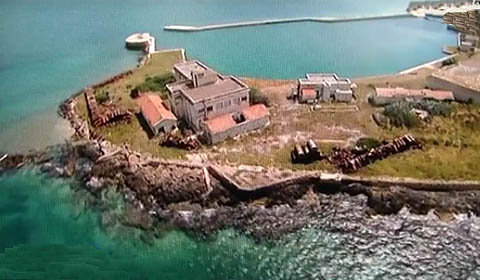 In fact in the island of S. Pietro was built the battery of S. Pietro, demolishing part of the Napoleonic Fort and moving the lighthouse, destining it to office of the Military Genius, while on the Island of S. Paolo were built the Admiral Aubry battery and the Victor Emanuele II Armored Tower, built between 1883 and 1901 by the since then Lieutenant of the Military Genius Emilio Marrullier. On the Cheradi Islands you can still find military installations used during the Second World War for the defense of the city of Taranto, but now abandoned. 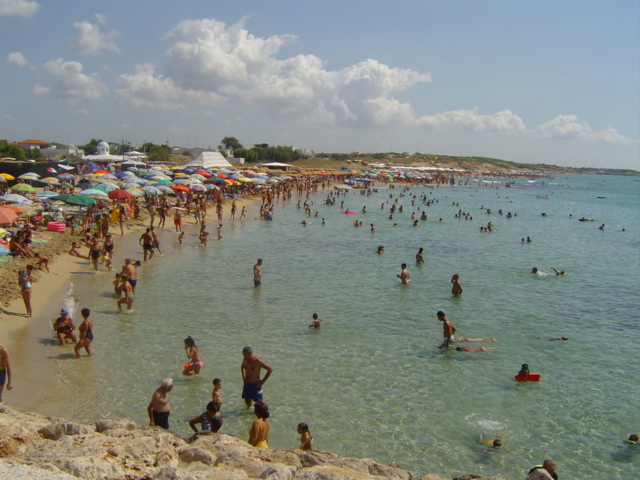 By tradition it is said that San Pietro landed in San Pelegia Island. It is said as well that while he was kneeling on a rock, he left his imprint. At the rock was given the name “apodonia” and it was transported to Venice by Venetian sailors. 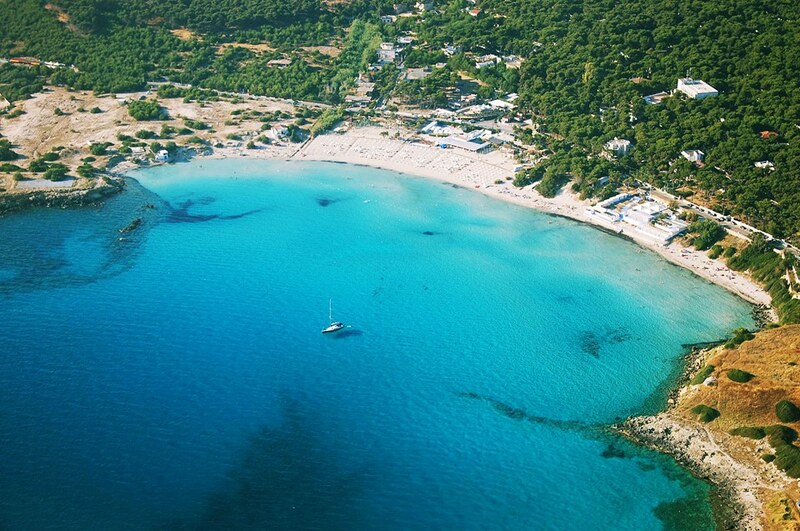 San Pietro Island is the largest of the Cheradi, having an area of 118 hectares and is almost entirely covered by a thick pine forests. 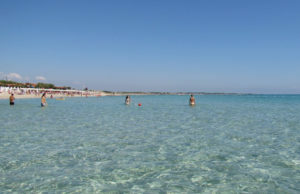 San Paolo Island is the smallest of the Cheradi, having an extension of 5 hectares and is also the penultimate island by size in the Apulia region after Cretaccio. Time ago there was also the islet of San Nicolicchio, now disappeared because of the renovation and enlargement of the industrial cargo port. The island was called by the fishermen u ‘squegghie (the rock) and was located near the Punta Rondinella. Formerly the inhabitants of Taranto built an abbey on the island with geek ritual, dedicated to St. Nicholas of Myra. 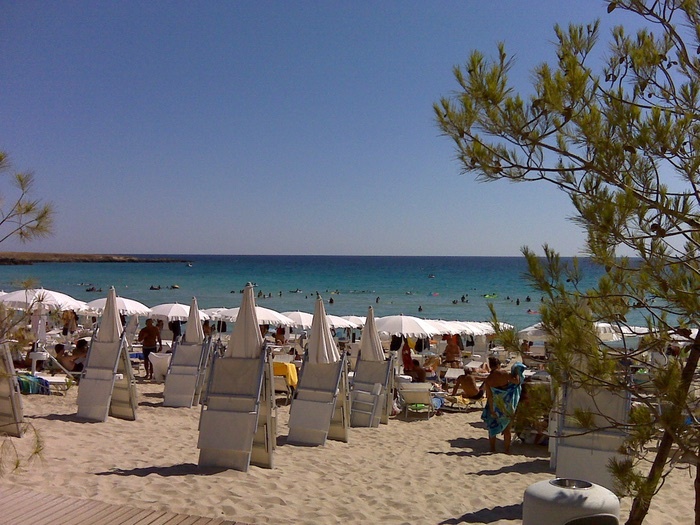 Gandoli Beach. 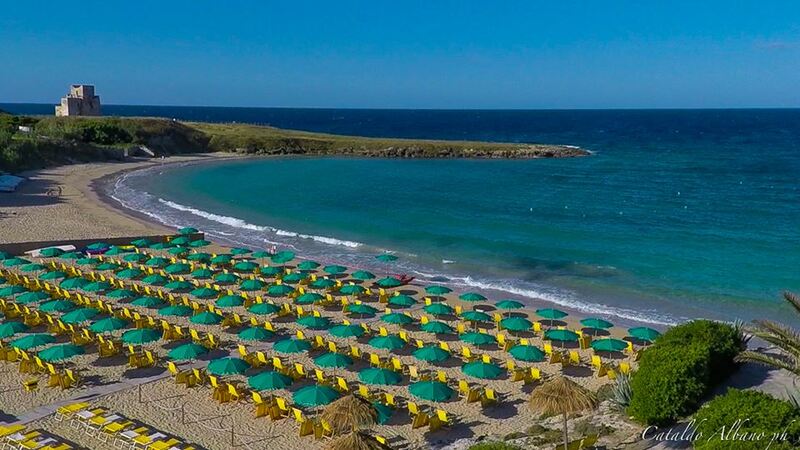 Surrounded by green and bathed by the Ionian Sea, with thin sandy beach, has 200 cabins and 300 umbrellas, terrace restaurant, bar, cinema, mini club and a fully equipped sport area with several fields: tennis, basketball, beach volleyball, bocce and beach tennis. 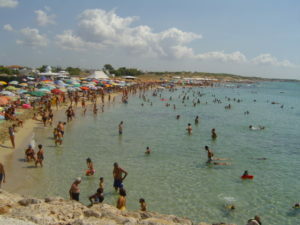 Lido Silvana, in Marina di Pulsano. 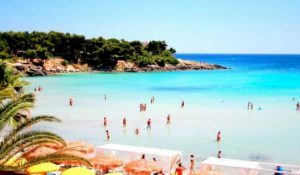 It is a beautiful beach of soft white sand, characterized by a magnificent coastline shaped in semicircle bordered by picturesque dune formations covered with dense Mediterranean vegetation. The sea is fabulous, turquoise, crystalline and has an extraordinary transparency, with sandy and low Seabed, ideal for swimming and bathing. 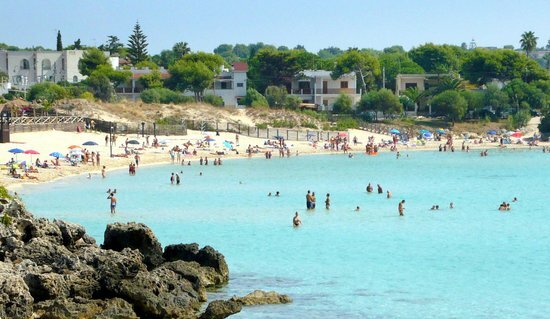 Canneto Beach on the Ionian coast of Salento, in a locality named Saturno, in agro of Leporano in a beautiful sandy bay, among the rock-cliffs, antique Greek port. In the vicinity you can find important archaeological rests of Satyrion and a Roman villa. Onda Blu: on the Ionian coast of Salento, administrative island of Taranto, with fine beaches and a magnificent shore with beautiful formations of coastal dunes covered with dense Mediterranean vegetation, has sandy low Seabed with crystalline clear emerald waters. Wellness center: opportunities to enjoy the services of the external Wellness center which has special arrangements with our touristic accomodation.